The Jerusalem Tallit was created to mark the holy city of Jerusalem’s 3000th anniversary. The tallit boasts the old and famous unmistakable Jerusalem skyline reminding us of our yearning for Jerusalem. The Jerusalem Tallit comes in a variety of colors with Lurex stripes across the sides. On the stripe above the skyline the Hebrew words “3 alafim”, 3 thousand, is etched, to mark the occasion of the inception of Jerusalem. On the stripe below the skyline, the Hebrew word “Yerushalayim”, Jerusalem, is etched. Tallit has matching Atarah neckband with the Hebrew words “Yerusalayim Ihr Hakodesh”, Jerusalem the Holy City. All four corners are reinforced with decorative material that depicts the Jerusalem skyline. 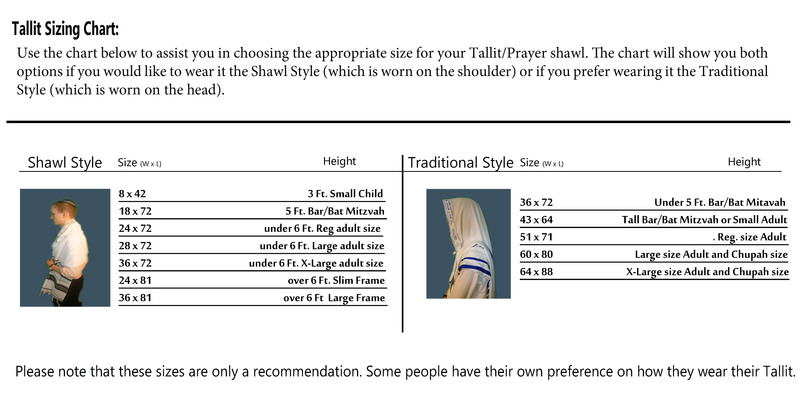 The Jerusalem Tallit is available in both shawl and traditional style. 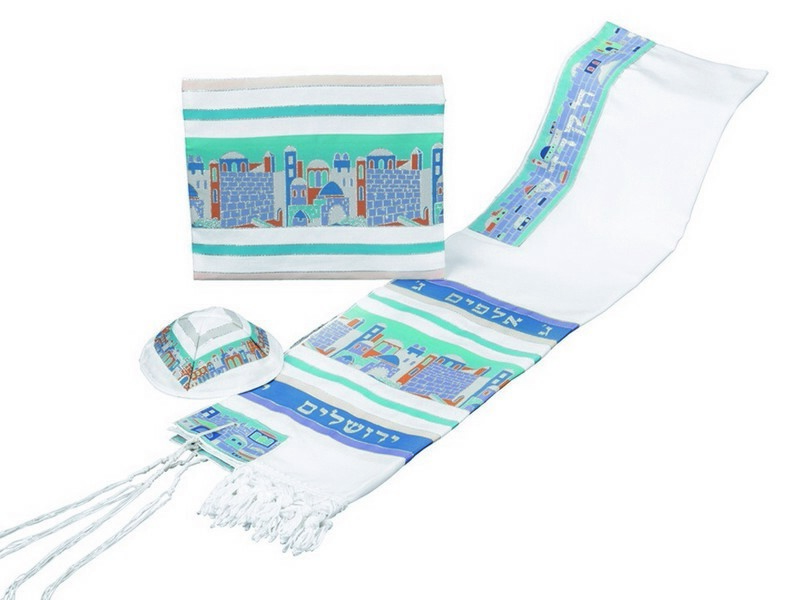 The set includes matching tallit, tallit bag and kippah, made from quality wool and Dacron blend fabric.